The message that you deliver to your customers should be original if you wish to attract them, but a unique design will make your message unforgettable. 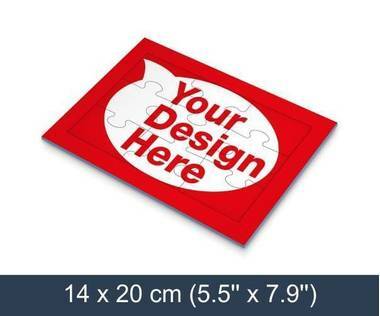 Use tray jigsaw puzzles as a greeting card and surprise your customers with this fantastic gift. Tell the employees of your company about achieved goals using jigsaws. You can also use promotional tray jigsaw puzzles for team-building events and give your employees a sense of belonging with these fabulous corporate gifts.